Are you looking to reach health care recruitment professionals? Does your business depend on getting in front of industry decision-makers? Advertise with the National Association for Health Care Recruitment (NAHCR) and put your products and services in the hands of people with the power to buy. Directions, the NAHCR digital newsletter, is distributed electronically four times per year to all Active, Associate, Vendor, and Federal members as well as newsletter subscribers. 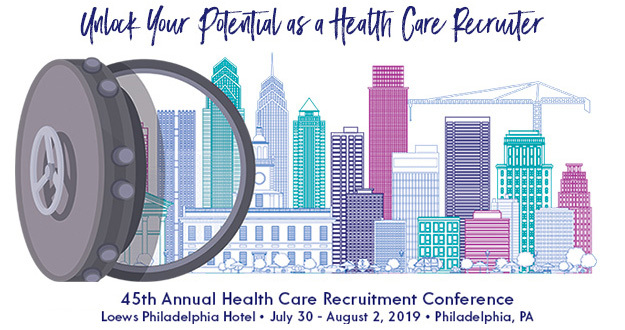 Exhibiting or Sponsoring at the NAHCR 44th Annual IMAGE Health Care Recruitment Conference – the single most important conference targeted specifically to health care recruiters. NAHCR News – the NAHCR bi-weekly news digest. Click here for information on advertising in NAHCR News. NAHCR.com - Click here for information on advertising on the NAHCR website.